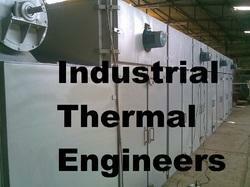 - Copra dryer is used to reduce moisture from the Copra before crushing. Copra Dryer is a very impotent machine used in manufacturing in copra with ore team of export & vast experience and research we have designed and developed copra dryer with different capacity with different heating system. 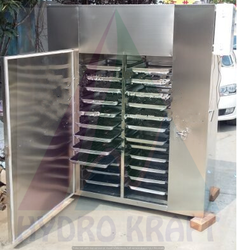 Dryers For 100Kg to 5 Ton available, Also available in custom sizes as per customer requirement. We manufacture and supply superior quality Coconut Dryer , which is fabricated using high grade components and latest process technology. Our drum dryer is available in three different models such as double drum dryers, single drum dryers and cooling drum dryers. It has gained appreciation amidst our customers for their quality attributes like corrosion resistance and longer service life. Drying capacity: 5, 000 /10, 000/ 25, 000 nuts per day.Fabricated with heavy ms plates. Blower fabricated with highly balanced impeller which delivers 1500cft air per minute. Blower runs with 5hp or 7.5 HP or 10 HP motor, speed of the motor is 1440rpm.